Can Turmeric Help in Bipolar Disorder? Bipolar disorder is a serious brain disorder characterized by mood swings. The distinct symptoms are alternating periods of mania and depression. It is a psychological disorder commonly seen in patients with first degree relatives suffering from a similar disorder. It occurs due to an imbalance of neurotransmitters (chemicals which help transmit signals in the brain). During the mania episode, the patient feels overly joyful and excited whereas in the depressive episode intense sadness or hopelessness occurs. All of us experience such blues and periods of excitement, but these episodes are severe, intense and frequent in case of psychological disorders. This disease is not limited to mood swings. Anxiety, post-traumatic stress disorder, alcohol or substance abuse and even obesity are likely to occur with it. Based on the intensity, there are different types of bipolar disorder. Treatment for bipolar disorder includes medications like an antidepressant, anti-anxiety drugs, antipsychotics, anti-convulsants. A lot of research has been conducted on turmeric’s neuroprotective effect which could be of value in controlling this disorder. How does turmeric help in bipolar disorder? Turmeric is a herb and a spice native to India and Asia. It has been used since ages in traditional medicine to treat various disorders. Curcuminoids and its oil fraction are said to have biological activity. Anti-inflammatory, anti-oxidant, anti-tumor, anti-microbial are few of its pharmacological properties. 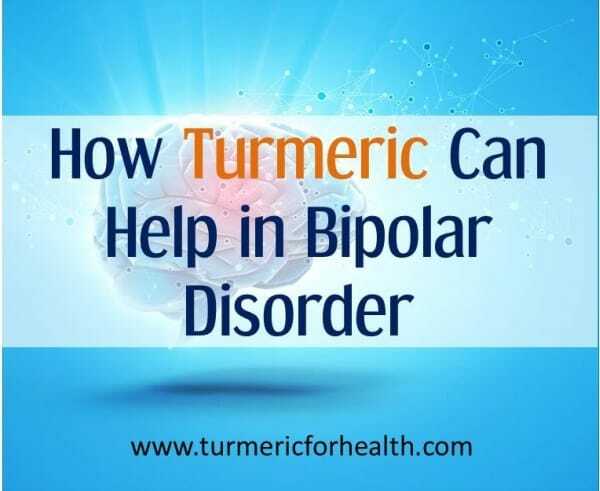 Turmeric acts in multiple ways to help control symptoms and progression of bipolar disorder. The brain is susceptible to oxidative stress due to the limited presence of antioxidant enzymes, high oxygen requirement, and presence of lipids. Oxidative stress is an imbalance between pro-oxidant species and antioxidants which can lead to tissue damage and organ failure. A number of genetic and environmental factors such as infection, malnutrition, psychological stress cause oxidative stress in bipolar disorder. In a study analysing the oxidative stress occurring in bipolar patients, blood samples were collected. The samples showed the presence of increased lipid peroxidation (destruction of cellular fats by reactive oxygen species leading to cell death). The blood-brain barrier (a protective barrier that protects the brain from foreign substances) is disrupted in patients suffering from bipolar disorder allowing reactive oxygen species to permeate. The activity of antioxidant enzymes is impaired in this disorder and increased oxidative stress can increase risk of developing heart diseases. This is one interesting study I stumbled upon. Violent suicidal behavior is associated with a mutation in a gene linked with body’s antioxidant defence. 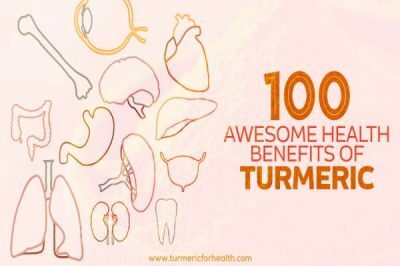 Turmeric’s antioxidant property is very well proven by science. Its antioxidant activity is as strong as Vitamin E and C. Curcuminoids are potent antioxidants. It scavenges reactive oxygen species and ions that cause oxidative stress. It prevents tissue damage by lipid peroxidation. It increases the level of antioxidant enzymes. Curcumin is proven to increase the levels of antioxidant enzymes and prevent oxidative damage in periods of mania occurring in bipolar disorder. In an animal model, turmeric is found to be as effective as fluoxetine, a popular antidepressant (Prozac) in terms of improving antioxidant defences. What does this mean? Bipolar disorder is characterised by weakened antioxidant defences and turmeric can act as an antioxidant and prevent oxidative damage. Inflammation in bipolar disorder occurs as a result of oxidative stress. A review study indicates that the levels of pro-inflammatory chemicals in an individual differ depending on the way that person is feeling (mania or depression). Inflammation is linked with behavioural parameters such as exercise, alcohol abuse, sleep as well as medical parameters such as insulin resistance, obesity, etc. Research proves that the immune system in such patients is impaired. High levels of immune cells and pro-inflammatory chemicals are found in people suffering from bipolar disorder. Inflammation can affect thinking and other related abilities in the patients. Microglial cells are a type of immune cells found in the brain. Different genes activate these cells either to cause inflammation or to treat it. Microglial activation is observed in bipolar disorder. Turmeric is known for its anti-inflammatory property. In fact it is found to be better than NSAIDs (common painkillers). Curcumin also helps in reducing inflammation by preventing microglial activation. Pro-inflammatory chemicals like interleukin, prostaglandins etc. What does this mean? 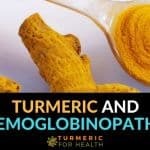 Turmeric offers neuroprotection by suppressing inflammation which can help in controlling symptoms of bipolar disorder. Brain derived neurotrophic factor (BDNF) is a protein that regulates brain activity and memory. The levels of this protein are altered in bipolar disorder patients. Interestingly curcumin attempts to bring BDNF levels back to normal and thereby offering neuroprotection by reducing damage to chronic stress, improving memory and preventing mood fluctuations. What does this mean? Turmeric influences the activity of proteins that are vital to brain functioning. This is of importance with respect to treatment of neurological disorders. Routinely prescribed anti-depressants act on specific biochemical pathways or proteins to treat depression. Curcumin acts in a similar fashion but it can target multiple proteins or pathways at the same time to help alleviate depression. 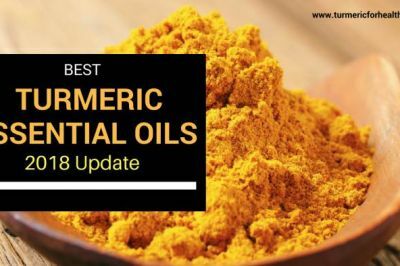 Animal studies have been conducted to prove the neuroprotective and antidepressant effect of curcumin and other bioactive constituents of turmeric. A study was conducted wherein patients with a major depressive disorder were given fluoxetine (Prozac) and curcumin individually or in combination. The response was highest in the combination group (77.8%) while in fluoxetine it was 64.7% and in curcumin 62.5%. This was the first study to suggest curcumin as a replacement for Prozac. Combination of curcumin and piperine (active constituents of turmeric and black pepper) is found to enhance the effect of antidepressants by increasing serotonin levels. A combination of curcumin and St. John’s wort is also said to help in depression by increasing serotonin. In a clinical trial , patients were given standard antidepressants along with a combination of curcuminoids and piperine or antidepressants alone. At the end of the trial, a significant reduction in anxiety and depression was observed in the group taking curcuminoids compared to control group. Researchers concluded that curcuminoids-piperine combination can be given as add-on therapy to standard treatment. 4-8 weeks supplementation with curcumin (500 mg twice a day) is found to help patients suffering from major depressive disorder. What does this mean? Turmeric is as effective as standard antidepressants in treating major depressive disorder. Anticonvulsants are used in the treatment of bipolar disorder as a mood stabilizer. It is not used to treat seizures but to control mood swings. They help in controlling mania and depression and help in stabilizing mood and preventing relapse. 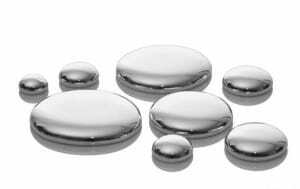 Lithium and valproic acid are commonly prescribed drugs. Turmeric oil is proven to have anti-convulsant property. In an animal model of seizure, curcumol (a bioactive component obtained from turmeric rhizome) is proven to suppress seizures, reduce susceptibility to seizures and prolong the intervals between recurrences of seizures. Ar-tumerone and curcumin are also proven to be therapeutic in case of convulsions. What does this mean? Curcumin and other bioactive constituents of turmeric possess anti-convulsant property. Anxiety is characterized by disturbed moods, fears, and exaggerated stress responses. The anti-anxiety potential of curcumin has been proven in an animal model. Research suggests that curcumin modulates chemicals involved in signalling messages in the brain, especially serotonin. Docosahexaenoic acid (DHA) is an essential fatty acid that is vital for proper brain functioning. The deficiency of this fatty acid can lead to neurological disorders like anxiety. Curcumin complements the action of DHA on the brain, promotes DHA synthesis and reduces anxiety-like symptoms. Curcumin also demonstrates anti-anxiety like effect by suppressing oxidative stress. What does this mean? Curcumin effectively controls anxiety like symptoms which are also observed in bipolar disorder. One of the common reasons why most patients abandon regular treatment is the weight gain and metabolic disturbances caused by medications used to treat bipolar disorder. And turmeric has a remedy for that too! Research proves that dietary curcumin can help reduce obesity, metabolic syndrome and inflammation associated obesity. 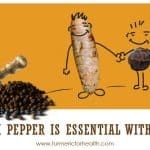 Turmeric provides a unique combination of controlling anxiety, mood swings and depression without causing weight gain. This makes it suitable as an adjuvant therapy or an alternative to regular medications. Dietary turmeric is safe. 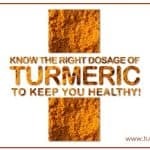 Include turmeric in your curries, rice preparations, smoothies or any other food item you like. 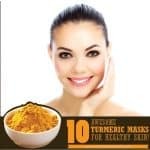 One can safely take 1 tsp of good quality turmeric powder day without issues. Be careful while taking curcumin capsules. It is best to make turmeric as part of your diet. 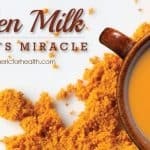 You can also brew turmeric tea or consume it as turmeric milk or golden paste. 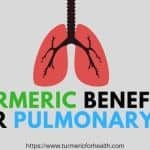 While consuming turmeric supplements caution should be exercised. Avoid them in case of pregnancy or lactation or 2 weeks prior to surgery. In case you have diabetes and are consuming medications to lower blood sugar, do not take turmeric supplements. People suffering from gallstones, obstruction of bile passages and stomach disorders should not take turmeric supplements. Although turmeric is a herb, it is wise to consult a physician before taking turmeric supplements. 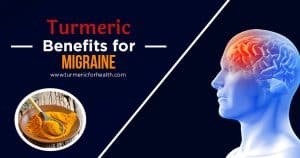 Turmeric can definitely be used individually or as an add-on to standard therapy when it comes to anxiety, depression, mood swings, and bipolar disorder. Research has proven turmeric’s efficacy in treating various other neurological disorders. 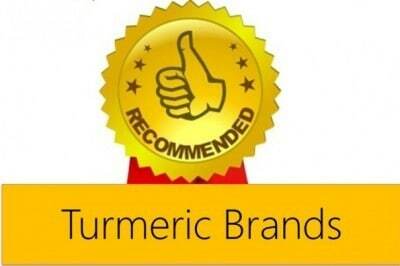 We have received a lot of appreciation for our articles on turmeric and its therapeutic value. This article is our gift to everyone in general and especially to those suffering from psychiatric disorders. Most of us generally say, ‘Nothing is wrong with you. It is just in your head.’ And definitely it is. But our head does not just consist of our thoughts alone. There is a master organ called a brain which governs our thoughts. We have emphasized on details as to what exactly occurs in our body when we suffer from this disease, just to point out that like every other organ, our brain also fails sometimes. For those of you who know loved ones suffering from this disorder, kindly share this article with them and support. Hi I am also wondering are there any possible interactions with turmeric and antipsychotics? It raises dopamine while antipsychotics block some dopamine, but some use antidepressants that raise dopamine with antipsychotics. I also am feeling overheated and antipsychotics affect core body temperature. also I was trying a supplement with bipiperine and hear that can raise the side effects of medications. just not sure what to do. would like antidepressant relief. thank you. I am having a lot of severe depression and took turmeric awhile and it helped. I also have inflammation from cfs and fibro. I was on naproxen a while and am switching back to turmeric but getting a lot of dental surgeries. I had been on naproxen for dental surgeries too and it was ok even tho it thins blood too. I feel desperate for some relief as I was taken off antidepressants last year due to too low sodium. I do take seroquel xr. 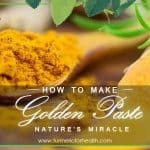 I took turmeric before with geodon and was ok. I am risking the bleeding with the dental surgeries as it may take some months (getting dentures) and yet felt I could not wait anymore for relief. also had some problems with high blood pressure and felt I needed to come off the naproxen. I had excessive bleeding last teeth extraction (four more phases to go) and that was with naproxen….I don’t know if it will be about the same as naproxen? I used tea bags for the tannins to stop the bleeding tho and it worked. I just feel desperate right now and need relief to this depression. and I did feel relief before. Thank you for this informative article. 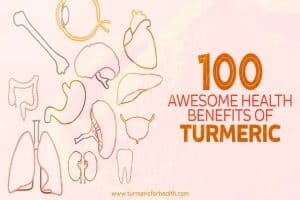 can turmeric affect Litium level like other anti-inflammatories? Hi. We have not come across any such data regarding turmeric affecting lithium levels. 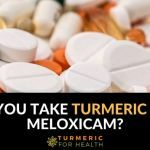 Is it only the turmeric capsule supplements that cause an issue with gall stones? Or does the powdered spice cause an issue as well? 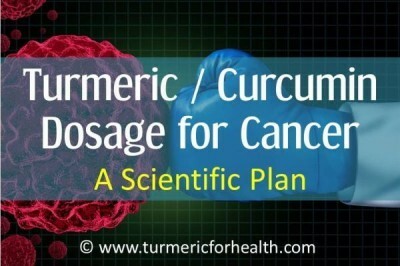 The study that shows that turmeric causes gall bladder contraction, makes use of curcumin at fairly small doses. 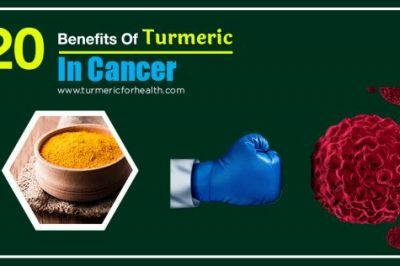 Though we have not heard that dietary turmeric could cause gall bladder contraction it is best to limit intake to 1/8-1/4 tsp or even avoid it. I have chronic gastritis, can I use turmeric? Turmeric does has gastroprotective property. Since it is a case of chronic gastritis, it is necessary to start with small amounts of turmeric. You could take the Golden Paste. Start with 1/4 tsp a day and gradually increase the dose over weeks to reach 1-2 tsp 2-3 times a day (this dose is permissible only when you are completely relieved of gastritis). It is best taken with meals. We would also recommend turmeric milk to soothe the stomach. 1 tsp a day is the preventative dose. For depression we would advise taking the Golden Paste. 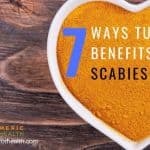 It combines black pepper and oil with turmeric for better absorption. Start with 1/2 tsp a day and gradually increase to 1-2 tsp 2-3 times a day or how it suits you. It is best taken with meals. I taking medication for bipolar. I am also ptaking .supplements. I am also taking herbal supplements like gotu kola, Brahmi , aswagantha and curcumin. In addition to this I am also takings omega3, NAC, vitamin B complex, vit C and magnesium. Will this help me to avoid relapse? Please advise me . The supplements you are taking are great for brain health but the occurrence of relapse is based on a number of conditions, so it is hard to predict. 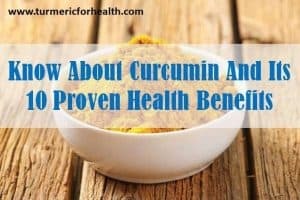 However these supplements and curcumin should definitely improve your brain health and reduce dependence or reduce dosage of medications. It would be best to consult a doctor or herbalist about the same. thank you for the info.My son is also on a naturopathic medication, omega 3, vitamin D, vitamin c and B-complex-the dosages as prescribed by a naturopathic doctor. Hope this helps others who are in this situation. 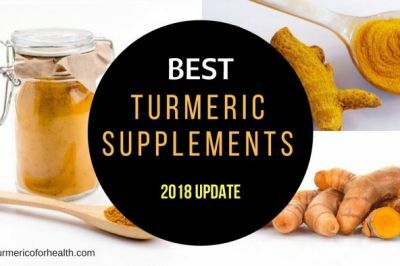 What would be a safe amount of turmeric as a supplement for bi-polar. 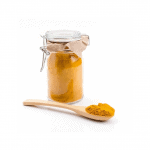 Turmeric in diet up to 1 tsp is safe and effective but always start small doses. For supplements its best to consult a herbalist or naturopath. My daughter has suffered with bi-polar for 18 years now and is on an episode right now, unfortunately she also has mild cerebral palsy which inhibits her walking ability especially when she on an episode. I will definitely give this a go as her legs swell up . Thank You For All The Wonderful Information……. Hi Gerry, you are welcome.